Slimine, roundm rectangle and bladder water tanks for the residential market. TFGlobal provides the most advanced blue tooth technology with car sunvisor handsfree kits. Central Hills Machinery Traders provides Agriculture Machinery, Farm and Land Management, Implements and Equipment, Tractors and vehicles, Chemicals and fertilisers. With over 35 years of experience in the irrigation industry, I & C Irrigation Consultants supply a vast range of irrigation, water storage, pumping and filtration solutions. 16/06/09 - With over 35 years of experience in the irrigation industry, I & C Irrigation Consultants supply a vast range of irrigation, water storage, pumping and filtration solutions. 02/09/08 - Bushmans provide liquid storage tanks and accessories for personal and agricultural use. With a reliable distribution network, Bushmans deliver a range of products throughout Australia. 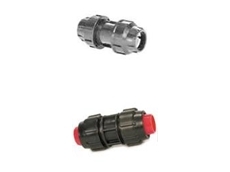 12/08/08 - Northern Water Solutions offer agricultural water management solutions through a range of irrigation fittings including pipe risers, PVC fittings, metric fittings, camlock fittings, check valves, tank fittings and ball valves. 08/08/08 - Nylex Rotomould provides design and manufacturing services for a range of bulk chemical handling products, suitable for commercial and industrial applications. 31/07/08 - Rainwater Storage Tank manufactures and supplies water storage tanks, pumps and tank accessories. Blue Bubbles, a Sydney based firm, owns Rainwater Storage Tank. 28/07/08 - The Pump House offers irrigation requirements as per customer requirements. The Pump House comprises of design computers that helps in proper planning. 28/07/08 - Eyson glasses, offered by TFGlobal, offer maximum UV & UVB protection, antiglare lenses and PP10 plastic polarised lenses. TFGlobal offers Eyson optical products such as Balo Polarised, Big One Polarised, Dolphin Polarised, E Polarised and so on. 25/07/08 - Sonic Boomsprays specialises in the manufacture of boomspray equipment. These boomspray equipment have been specifically designed for farming and spraying applications. Sonic Boomsprays manufactures durable and efficient boomspray equipment. 22/07/08 - Ozpoly Water Tanks offers a range of farming products such as troughs, canopies and spray tanks.